Asked whether they would consider voting for each of the federal parties, 49.4 per cent of Canadians surveyed said they would consider voting Liberal while 46.3 per cent would consider voting Conservative. Just over 37 per cent would consider voting NDP, 30.1 per cent would consider voting Green, 9.3 per cent would consider voting for the People’s Party and 21.2 per cent would consider voting for the Bloc Quebecois. Numbers are based on a four-week rolling sample comprised of 1,000 interviews. To update the tracking a new week of 250 interviews is added and the oldest week is dropped. The margin of error is plus or minus 3.1 percentage points 19 times out of 20. 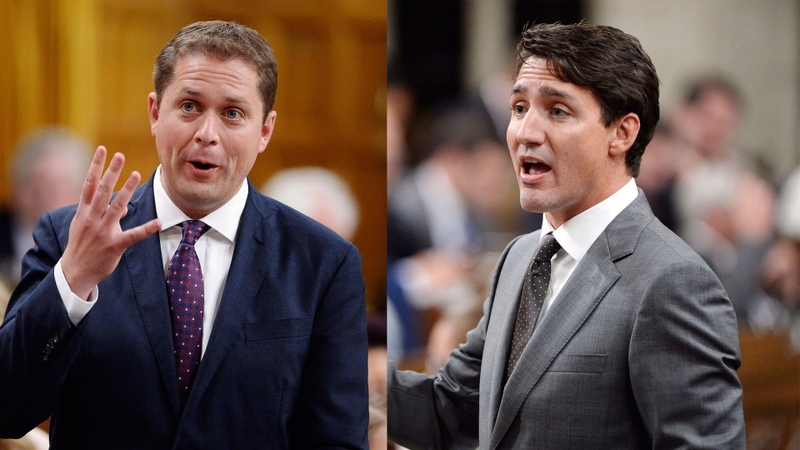 The latest Nanos survey data show that 52.2 of respondents think Prime Minister Justin Trudeau has the qualities of a good leader, while 39.1 per cent think the same of Conservative Leader Andrew Scheer.